hi, thank you for all recolours, it was that i need. i love your job. I have some recolors of yours from Leefish and I was wondering if there is a difference between the ones you are posting here or at Leefish? P.S. I love your recolors! Fantastic! More choices, thank you for doing what EA and Maxis should have. @ rena2sweet4u, the only difference is the extra colours and a little tweaking of the texture and shadows. It's cool, but I have a kind question to you: could you consider recolouring objects from Castaway too? I use some base game-compatible custom content in Castaway and it works perfectly, but I'm bored to death with those green, grey and yellow bamboo textures all the time. I want to make the island appear more civilised, more like a postcolonial territory, for instance there is a bookshelf that looks like a weathered IKEA bookshelf. I am 90% sure it's the IKEA mesh. Seeing recolours that make the furniture and so on look as if it was washed ashore the island (but not after hundreds of years as it's shown in Castaway :P), it would be perfect. I'm waiting to hear from you :D.
@ Arlesienne, I don't have castaway sorry, I'll head to eBay and see if I can get it, if I do get it I'll take a look and see what I can do for you. I've deleted some old downloads that were AL Wood Colors only, which I did not care for and confused me with MALM colors, which is what I like now more than AL Wood colored custom-content files! So with whatever custom-content downloads you have uploaded with just AL colors, both Buy Mode and Build Mode mostly, I'd prefer an option to download only the IKEA Wood colors which I find realistic and specific to IKEA alone, which in my opinion is, just MALM and LACK! I've never could figure out what AL stood for, but it's clear I love only MALM and LACK colors and recolored custom-content from your library of Custom-Content for The Sims 2! 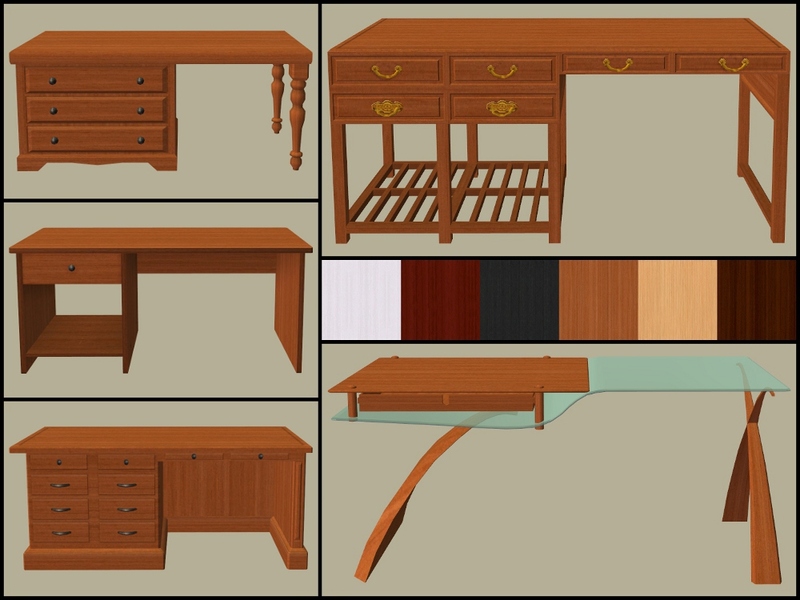 @Cloud_Strife - AL Colours are wood textures extracted from the Apartment Life Expansion Pack. Unfortunately I don't have as many MALM and LACK recolours as I do AL Wood Colours. I wish I had the time to go back and add those colours to everything I have done but real life keeps getting in the way.